Nine has announced Sydney news reporter Amelia Adams will become European Correspondent from July. 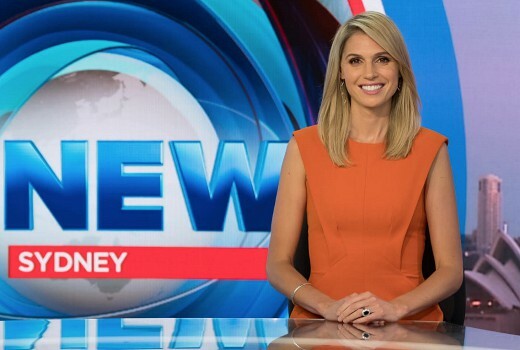 Adams joined Nine in 2009 filing for Nine News Sydney and serving as a presenter on national and NSW bulletins, daytime News, the Today Show and Weekend Today. In a note to staff, News boss Darren Wick said, “In her past decade with Nine, Amelia has reported on and presented live rolling coverage of bushfire emergencies, floods, Federal Government leadership spills, devastating tropical cyclones, the refugee crises on Christmas Island, the destructive Christchurch earthquake and the Japanese tsunami, where three successive meltdowns at the Fukushima nuclear plant threatened an entire nation and kept the world watching the disaster unfold live for an extraordinary and terrifying week. “But, she’s also done her fair share of chasing in the suburbs for the nightly 6pm bulletins – local courts, drive-by shootings, wild weather, medical marvels and the compulsory cute and cuddly animals at the Easter Show. Amelia and family will relocate to London from the beginning of July. Current Euro correspondent Seb Costello was appointed to the role in February 2017. And she was at Ten before that. She was the first to officially file a report on the night of Black Saturday (5pm), including record heatwave. Don’t ask me how I remember that. She also presented Nine’s Morning News for a few years before the current presenter, not sure why she was removed.